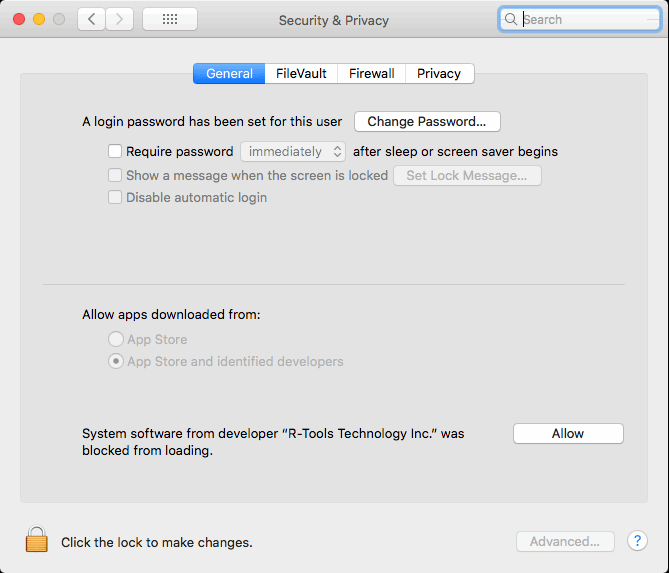 If you need access to your system disk, click the Open Security Preferences button on any of the messages, go to the Security and Privacy preferences, and click the Allow button..
R-Studio will start with full access to your system disk. You need to follow this procedure only once, next time R-Studio will start without these messages. 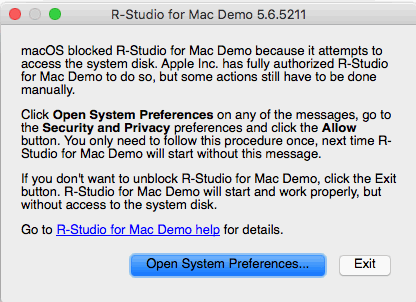 If you don’t want to unblock R-Studio , click the Exit button on the R-Studio's message. R-Studio will start and work properly, but without access to the system disk and when you start R-Studio next time, its message will appear again. You will be able to unblock the program if needed.